Taking your CBT test in Chippenham is your first step to getting out on the road and exploring some of the amazing scenery that surrounds Chippenham in the Cotswolds and Chiltern Hills. We currently have one CBT training centre located in Chippenham. Based out of Chippenham Rugby Club, Phoenix Motorcycle Training is a long established training school that offers a friendly and professional service from all their instructors. They have a large fleet of 50cc and 125cc motorcycle and scooters, and never have more than two students per instructor. Who can take a CBT test? If you’re at least 16 and hold a valid UK provisional licence and UK passport then you can take your CBT (Compulsory Basic Training). At the age of 16 you will only be legally allowed to ride a motorcycle or scooter with a maximum capacity of 50cc and a top speed of 30mph. Here are our top five 50cc scooters from 2018. If you’re 17 and older you’re allowed to ride a motorcycle or scooter with a maximum capacity of 125cc, and maximum power output of 11kW, which is equivalent to 14bhp in old money. The larger engine in 125cc machines means they’re great in the city, but can also keep up with faster moving traffic out on the open roads. Don’t worry about buying any expensive motorcycle equipment before your CBT test in Chippenham. The test centre will provide you with a helmet, and usually a jacket and gloves, too. We do recommend wearing thick jeans and sturdy boots that cover your ankles. Check the weather, and pack extra layers or waterproofs if necessary. What happens on a CBT test? Despite the name, the CBT test isn’t actually a test - you can’t fail. 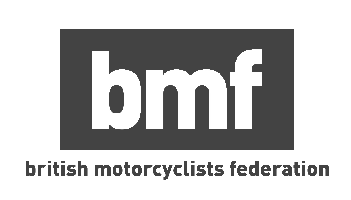 CBT stands for Compulsory Basic Training, and it’s the minimum standard of training you must complete before you can legally ride on the UK’s roads with L-plates. Your CBT will start in the classroom, where your instructor will go over the theory on handling a motorbike and scooter, teach you about basic maintenance and make sure you know basic highway code, so it’s a good idea to read up on you highway code beforehand, and perhaps use YouTube if you want to learn more about handling a motorcycle. Once the classroom work is complete, you’ll head outside, where you’ll be introduced to your motorcycle or scooter for the day. Your instructor will show you how the controls of your motorcycle or scooter work, and he’ll also make sure you’re comfortable pushing the bike around and putting it on its stand, then you’ll get your first bit of two wheel action. Your instructor will take you through some basic manoeuvres where you will get used to handling the bike on the move at slow speeds. Once the instructor is happy you can control your bike in a safe manner, it will be time to head out onto the road, where you will again be required to demonstrate your ability to ride safely and in a controlled manner. The on-road training will last at least two hours and you’ll be paired with another student for the duration. You’ll take turns to lead the convoy so the instructor will get the chance to assess you both, and they’ll be able to communicate with you via radio. Complete all that, and you’ll be handed a CBT certificate.